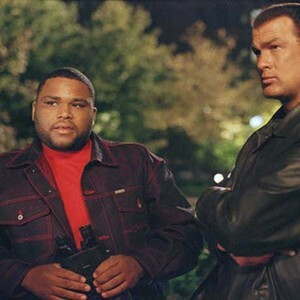 Orin Boyd (Mr. Seagal) is a Detroit cop who doesn’t play by the rules, is a lone wolf, doesn’t like authority, and all that stuff. Even though his valiant efforts saved the life of the Vice President, because he cut through all the departmental red tape, he must be punished for that. So he gets transferred to a much more “urban” police precinct. While the department is headed by the well-intentioned Annette Mulcahy (Hennessy), Boyd uncovers a cadre of corrupt cops under her command. However, besides putting a stop to the corruption, Boyd has to deal with having to attend anger management classes. It’s here he meets local TV host Henry Wayne (Arnold). Finally, Boyd has to contend with Latrell Walker (DMX) and his partner Trish (Mendes) – not to mention their compatriot T.K. (Anderson) - in the quest for justice. Who will suffer the most EXIT WOUNDS? Exit Wounds is an enjoyable, fast-paced, and professionally-made Seagal outing. Its mix of action and comedy is palatable, and the production values are high. Sadly, this was one of the last times Seagal would go to the movie theater. Within the next couple of years, he became stranded on DTV island. Since this was before that, the violence never gets too brutal (at least it’s not sadistic) and Seagal even gets to exercise his comic timing. 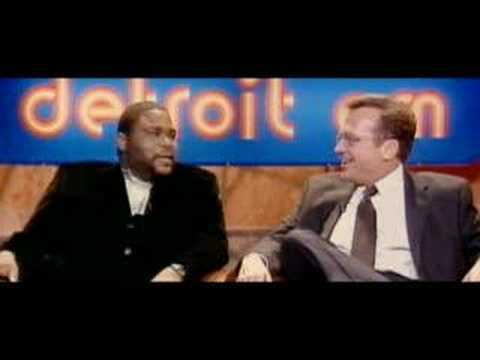 Most of the comedy, however, is left to Tom Arnold and Anthony Anderson, with generally good results. After the movie ends, and during the credits, there is a scene with just the two of them riffing off one another, and it’s one of the better scenes in the movie. Director Bartkowiak just sat them in chairs next to each other and let them rip. Smart idea. One of the other strengths of ‘Wounds is its cast. Perhaps realizing that, by 2001, Seagal couldn’t carry a movie all by himself, the movie got loaded up with great people and familiar faces. For instance, Boyd, for all intents and purposes, gets both a WYC (White Yelling Chief) AND a BYC (Black Yelling Chief) in the forms of McGill and Duke, respectively. It’s always nice to see them both. And lest we forget DMX, who acquits himself admirably. In many scenes, DMX is onscreen while DMX music is playing in the background. That’s DMX on top of DMX. He even gets to act alongside one of his fellow Ruff Ryders in a few scenes. At least Drag-On got to go to the theater once in his life. Somehow Jill Hennessy looks better and younger here than she did in Law & Order. And, finally, there’s fan favorite Michael Jai White. The fight between Seagal and White should have been longer and better. That was a minor disappointment, but apparently the fight wasn’t planned and was more or less improvised on the set. Bearing that in mind, it’s not that bad, but it still left something to be desired. Bartkowiak also directed the very similar Romeo Must Die (2000) and Cradle 2 the Grave (2003). Though he was born in 1950 in Poland, somehow he really understands the American “urban” experience. Or at least his Hollywood bosses think he does. Perhaps he is just homies with DMX. You gotta love DMX-fu. Bartkowiak keeps things moving well, and while there are some very silly moments during the fight scenes (not the least of which include speed-ups/slow-downs and wirework), all in all it’s pretty enjoyable stuff. The energy level remains high (Tom Arnold alone is like a one-man generator) and the audience remains entertained, and isn’t that the important thing? Plus it has one of the best exploding helicopter scenes we’ve seen to date. 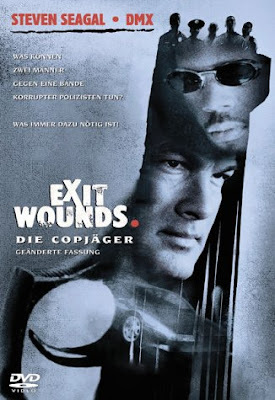 In the end, Exit Wounds is a career highlight for Seagal. Outside of his initial “three-word” trilogy, this is probably one of his best movies. The last classic Seagal, I watched it at the cinema. Such a shame, it seemed like a comeback at the time. Can't agree more. This was his last good movie. Urban Justice has some fun moments, but overall its a lot of junk as usual.